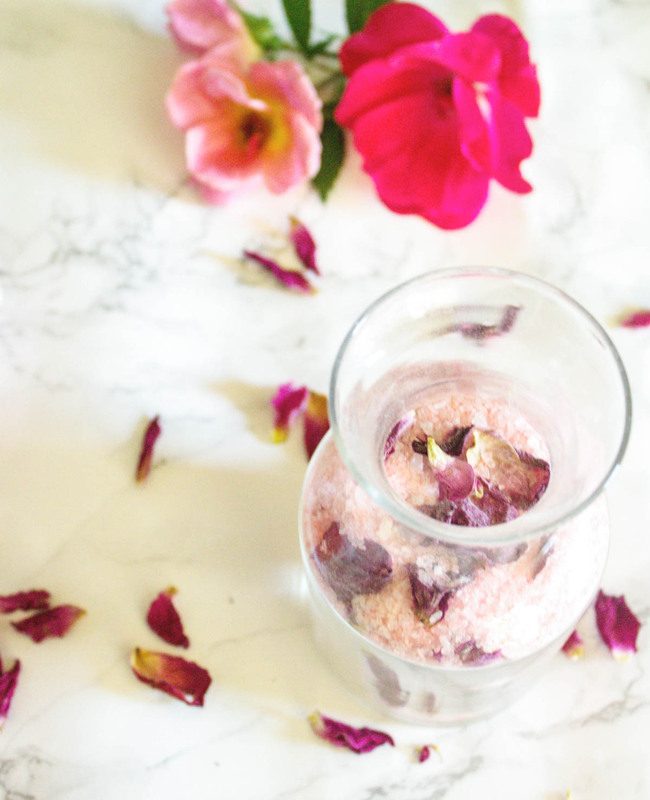 Long summer days call for long evening baths and relieving tired muscles with some pretty dried Rose Petal Bath Salts. How has the summer being to you? If you are running around daily with work, kids activities, outdoor family events, or just working around the house during these warmer days, I’m sure most evenings you’re probably wanting to get a good soak in the tub. I know I do. I’m not always able to soak but when I do, I cherish the moment (even if it is only for about 15 minutes). I love adding bath salts to help relieve tired muscles. 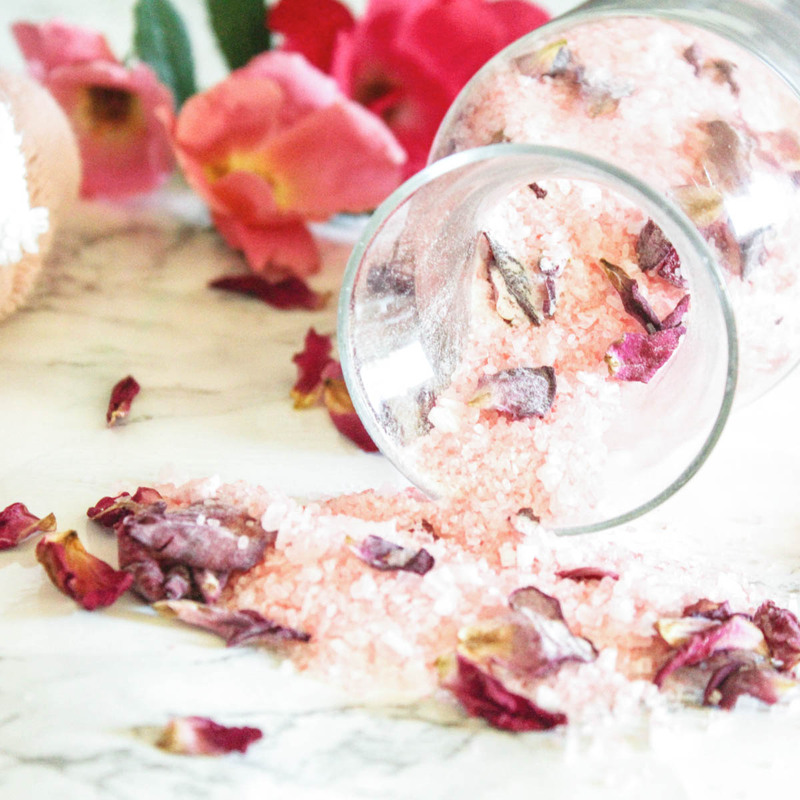 There are so many ways to add a personal touch to bath salts. 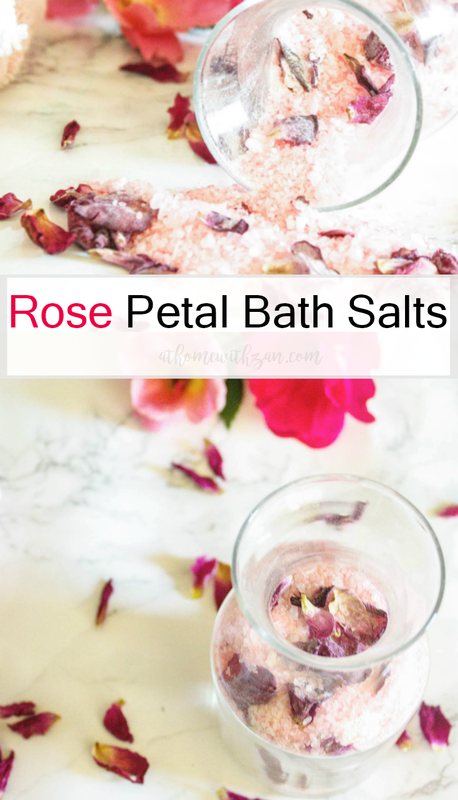 I made this quick jar of bath salts using Epsom salts as my base and could not help but add some pretty dried rose petals to it. Also, I added a bit of food coloring to change the color. It’s so pretty “in person” and so fun to add to a tub of warm water for a luxurious bath. Note: Not sure if Epsom salts are a good fit for everyone so check on that before adding to your bath. Another ingredient I love adding to bath salts is Essential oils. They come in various flavors and have various uses. Lavender essential oils, for example, is usually used to calm and sooth the body. I did not add any to this recipe but you can find my tutorial for lavender & rosemary bath salts here and winter skin care here. Here is the quick recipe – Enjoy! Pour Epsom salts in a glass mixing bowl. Add in food coloring and mix well until the desired color is achieved. Stir in dried rose petals until all are combined. Store mixture in a small glass storage jar. Dilute in a tub of warm water before soaking. Optional: Stir in drops of your favorite essential oils, if desired. This is so easy to make, beautiful to look at, and wonderful to add to a good tub soak. The whole family would enjoy soaking in this so making a big batch by doubling or tripling the ingredients may be ideal!! If you love bath salts, check out my other creations by clicking on the following links. 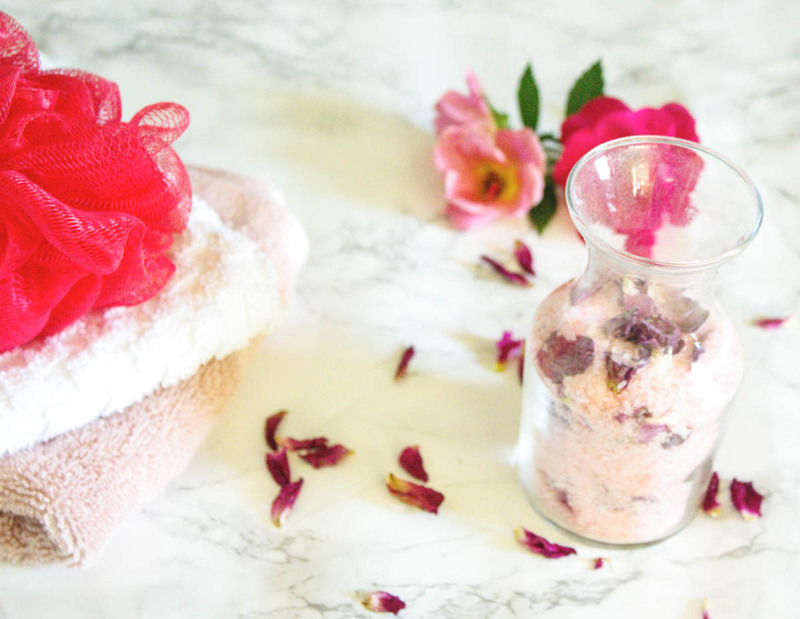 Do you enjoy adding bath salts to your bath (if you have a tub)? What is one of your favorite flavors to use? Please share in the comments! !